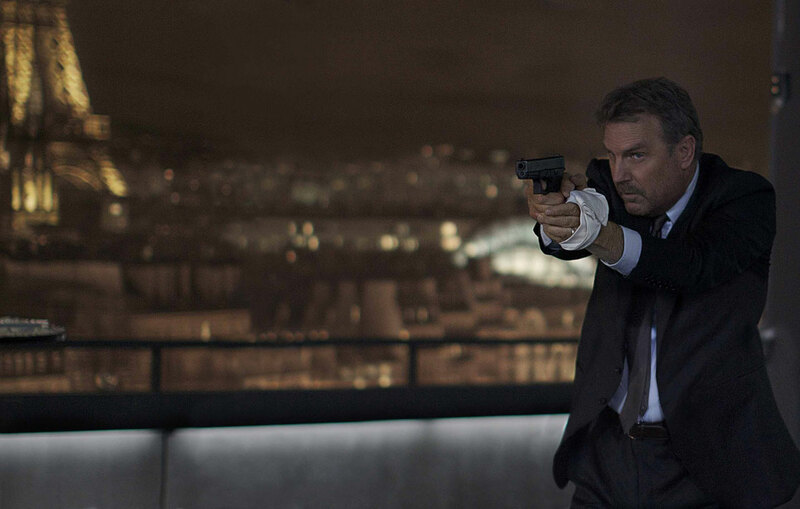 Kevin Costner, Amber Heard and Hailee Steinfeld star in the action-thriller 3 Days to Kill, directed by McG and written by Luc Besson. Check out the movie trailer, poster and photos below. A dying Secret Service Agent (Costner) trying to reconnect with his estranged daughter (Steinfeld) is offered an experimental drug that could save his life in exchange for one last assignment. MPAA Rating: PG-13 for intense sequences of violence and action, some sensuality and language. 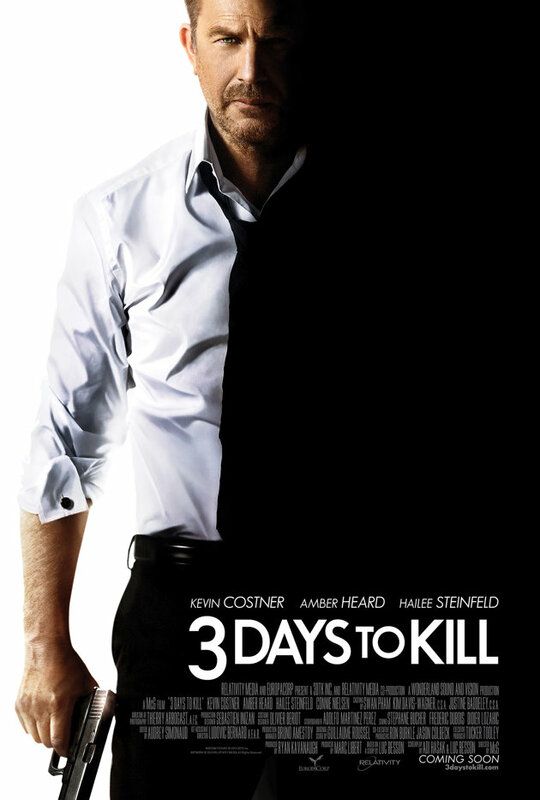 In this distinctive action-thriller, Kevin Costner plays an elite government hit man who after receiving news that he has a terminal disease, decides to give up his high stakes life to finally build a relationship with his estranged wife and daughter, whom he’s previously kept at arm’s length to keep out of danger. But when his agency offers him an experimental, potentially life-saving drug in exchange for one last mission, it’s an offer he can’t refuse – even if it means juggling his two toughest assignments yet: going after the world’s most ruthless terrorist and caring for his daughter for the first time in ten years while his wife is out of town.